In this episode of The IMPACT Show, Nick and I discuss IMPACT Live 2019 updates, all things video, conference and trade show giveaways, and more! Are you registered for IMPACT Live 2019? I saw the agenda this week (it's not live on our site just yet) and let me tell you it. looks. awesome. I was so excited I shared a poll in IMPACT Elite to see who else is already signed up. Some Elite members including Frances, David, Bri, Pat, Leah, and others are already on the list. I learned that some members of Elite were on the fence though...and some hadn't even heard of IMPACT Live! Want to see what it's all about? Visit the IMPACT Live site and click "watch the video." If you haven't registered yet we have a very special offer just for IMPACT Show subscribers. You can save $50 off your ticket (any ticket type) through the end of January. Just use the code impactshow before picking your ticket type and we'll knock $50 off the ticket price! Will we see you there? If something is holding you back - be it approval from your boss, waiting on more information, or something else - please reach out to me! I would love to help you get approval to go or answer any questions I can. If you're listening to this show then you need to be at IMPACT Live. It's a no brainer! We also had a great meeting with our friends at Vidyard to make sure we're on the cutting edge of all things video. Keep an eye out for amazing new video coming to you soon! 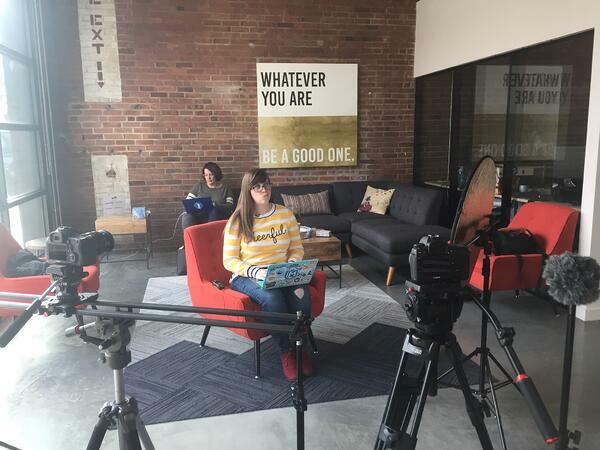 Plus, in case you missed it, IMPACT's Myriah Anderson created an absolutely incredible piece of pillar content that is the ultimate guide to video for sales. I'm blown away by how comprehensive and helpful it is. I have it bookmarked now! Leah Hovland is our Elite member of the week this week. Leah has been an absolutely amazing contributor in IMPACT Elite since the day she joined. She shares her work, gets feedback, makes changes and even shares her progress with us! She answers questions and provides value. We are lucky to have you in Elite, Leah! Speaking of Leah, this week she posted in Elite: “Hi Eliters! Are giveaways with logos at events outdated? If not, which product would you love to get as a gift, find useful, use often - and not throw away in the garbage as soon as you got home from the event? Thanks for your appreciated input!” Check out Leah's post in Elite. This week we interviewed IMPACT Head of Editorial Content Ramona Sukhraj. She has been at IMPACT for over 5 years and you may recognize her from The LATEST! We had a great chat with Ramona about how she got into her role at IMPACT, how she has helped grow our traffic, and what is currently working in terms of content strategy.